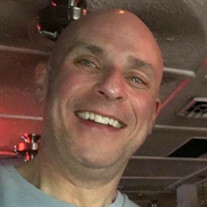 Jeffrey Scott Schultz, 53 of Pasadena passed away on November 20, 2018 at Johns Hopkins Hospital. Jeff was born on February 1, 1965 in Baltimore. Jeff was a Radiation Technician with Johns Hopkins Hospital and loved his job and helping his patients. Jeff also enjoyed fishing, hunting, and skiing. He is survived by two sons, Trent and Dalton Schultz; his parents, Charles and Geraldine Schultz; his siblings, Michelle Bulow, Gina Hogan, Keith Schultz, Christopher Schultz and Shannon Milligan. He is also survived by his cousins, nieces and nephews.